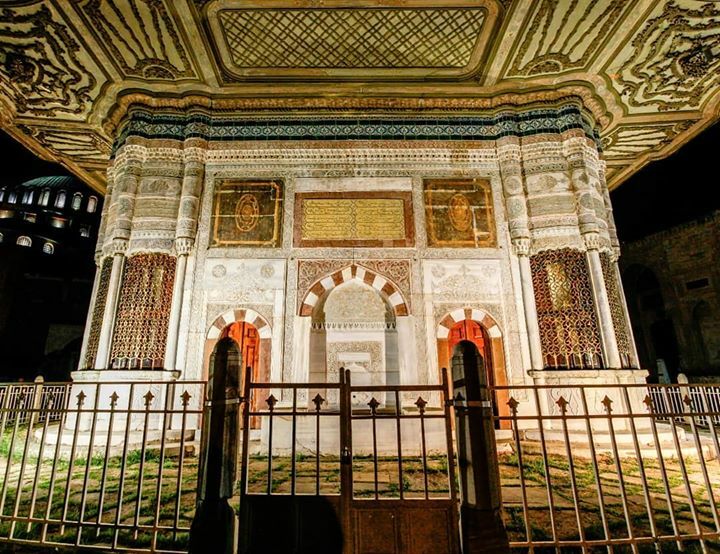 🇬🇧 A picture of the Sultan Ahmed Fountain, built in 1728, in a Turkish Rococò style, the so called Tulip Period of Ottoman Era. Obviously in a pedestrian pathway.. And obviously we got lost following Google maps, so we ended up exclty in front of this wonderful fountain with Piero!! !